Rabbits are the third most popular pet in the UK but the most neglected. Many people still keep them alone in a tiny hutch and lose interest fast. The rabbit becomes a 'garden ghost'. There is still widespread ignorance about keeping rabbits and they do not get the same respect and status as cats and dogs. Approximately 35,000 unwanted rabbits are handed into rescue centres every year. These are the lucky ones. Sadly, thousands of them never find a forever home and are destroyed. 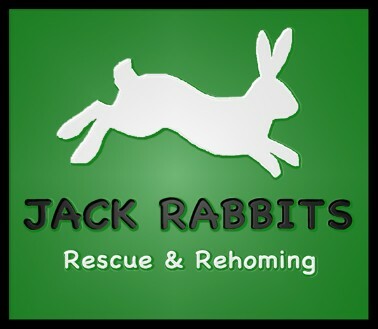 At Jack Rabbits, based in Cardiff in South Wales, I rescue unwanted, neglected and abused rabbits and find them a loving, forever home. Every rabbit is neutered/spayed, vaccinated, given lots of tlc and possibly bonded to another rabbit before being rehomed. I do not make any profit! Infact, I use my own income to fund the rescue centre and do not have a team of fundraisers. I am planning several fundraising events to help with the running costs. If you would like to help you can adopt a rabbit, make a donation, volunteer at a fundraising event, or simply spread the word about rabbit welfare. After all, ignorance is the main reason rabbits end up here!